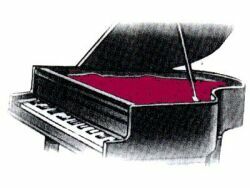 Protect your Grand action, sound board and strings from dust and dampness when not in use, then simply remove it from the piano when playing. Have your cover Custom Cut by us. 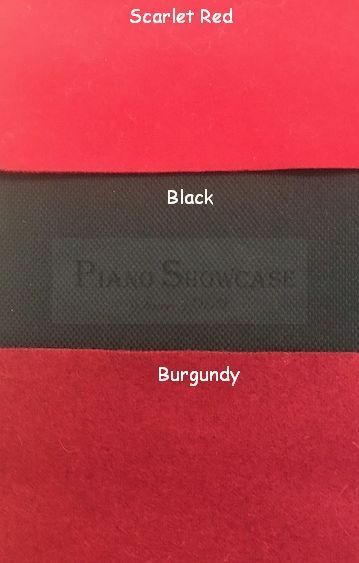 Top Quality Fabric - 80% Wool / 20% Nylon. This is a made to order item and takes approximately 5-10 business days for manufacturing. DISCLAIMER: We try to edit our photos to show the color samples as life-like as possible, but please understand the actual color may vary slightly, depending on your specific monitor, the settings and your lighting conditions. The cushion colors depicted should only be used as an approximate guide. 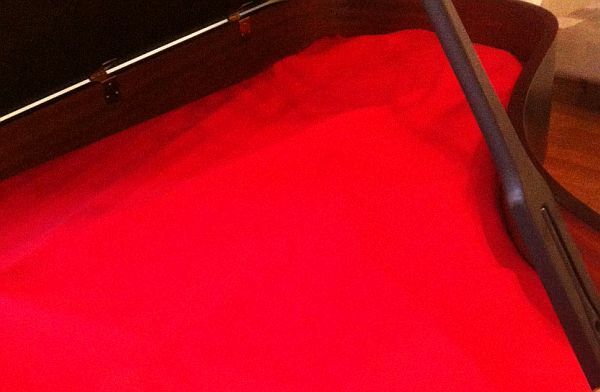 Protect your sound board and strings from dust and dampness when not in use, then simply remove it from the piano when playing. No returns on custom covers.